With Vietnam being one of the most popular destinations in South East Asia and many tourists before making their way to renowned attractions like Hoi An or Ha Long Bay usually make a quick stop at SaiGon. And one of the most common questions that my foreign friends ask me about SaiGon is, “Which local fashion designer would you recommend?” And this question has prompted me to work on a blog about local fashion designers in SaiGon. Usually my travel blogs are structured in some kinds of lists; for examples: “10 photography spots…”, “10 places to visit…”, “10 things to do…” Travel tips given in a list format tend to attract more attention since they help readers quickly visualize and prioritize. So I was about to name my blog “My Favorite 10 Local Fashion Designers in SaiGon”, but I found myself struggle to come up with any designers’ names. If you asked me the above question a year ago, I could easily come up with a list of 10 designers since I was living in SaiGon in 2015 and explored most of the boutiques in district 1. But after a year away from this lovely town, I hardly recall any of their names. However, there is one boutique that I vividly remember and can recall almost all details about this lovely designer. So instead of listing all of the designers that I knew, I will list all of the reasons why I love one special boutique. And that boutique is Cosette. Just like SG café culture, location has always been a key factor in determining the prestige and trendiness of a fashion store. SG fashionistas are interested in not only buying fine clothing pieces but also venturing themselves into art alleys or unknown staircases to discover hidden local boutiques. Prime locations for SG fashion boutiques don’t have to be right at the front of a main street; the more hidden the better (but still have to be centered around the historical streets of district 1). 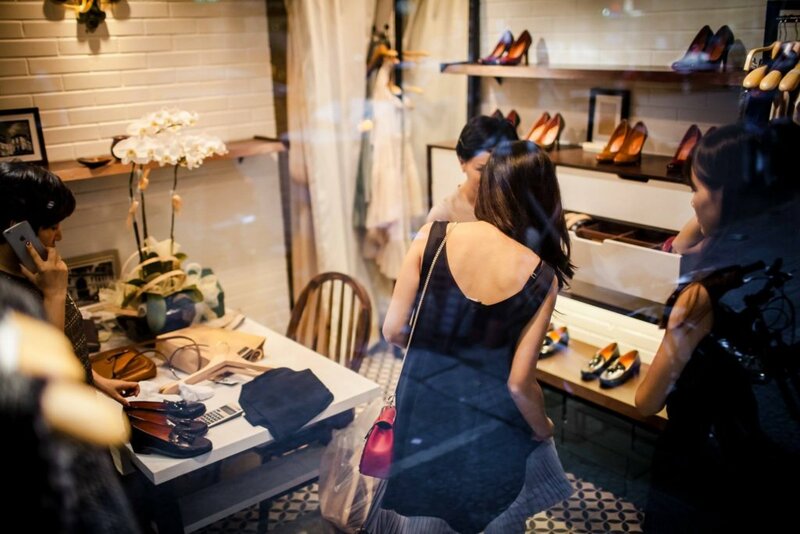 So I often tell my foreign friends that exploring SG fashion local boutiques is just as adventurous and exciting as exploring rice terraces in Ubud or the five sister villages in Cinque Terre. The best boutiques are often found in the most surprising places!!! And Cosette’s location is the first thing I love about this shop. I remember the beautiful and unique journey that I undertook to discover this lovely store: the run-down staircase, the rustic yellow walls, and the angry tenant who tried to “run over” me when I struggled climbing the stairs in heels. And the moment I saw Cosette’s studio after climbing 4 flights of stairs was just so refreshing! The studio was filled with early morning lights and birds chirpings; the balcony was opened up to lovely green space and situated in the middle of the studio was a vintage sewing-machine and a rustic wooden table where, I can imagine, the shop owner had sketched her designs and chosen fabrics. The coziness of the studio and the warm welcome of Cosette’s owner-Chi Yen made me feel so comfortable that I ran around admiring her pieces, took pictures, and just enjoyed myself like I was at an old friend’s house. Although Cosette has now expanded and opened two more branches in much more prime locations. 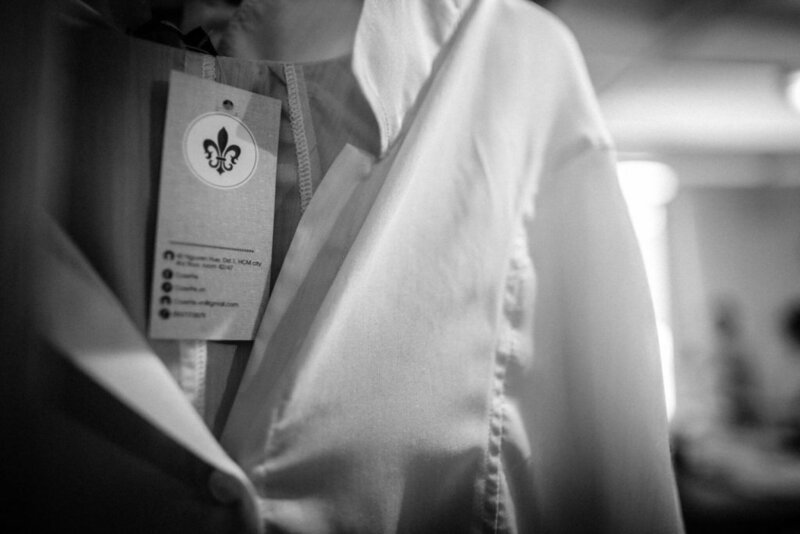 Cosette’s first studio was where I fell in love with the brand and my vivid recollection of this particular local designer all thanks to the beautiful journey that I had ventured to discover the boutique. 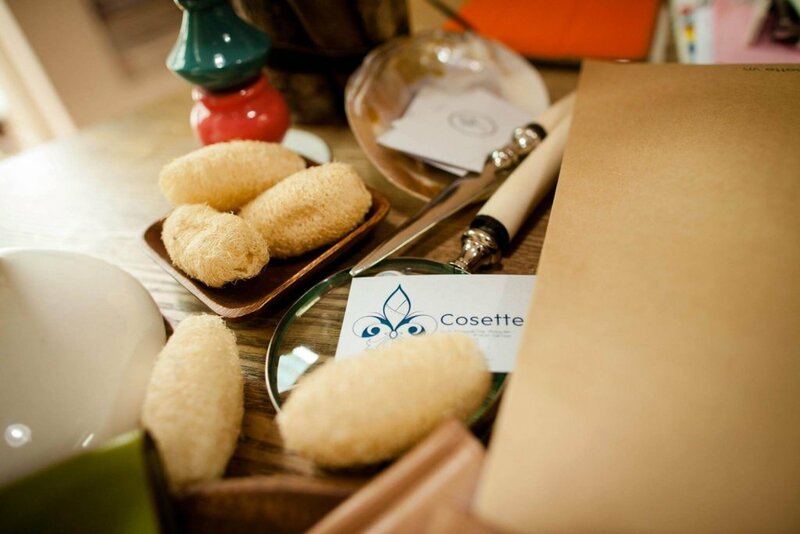 Cosette has been very popular with locals for its simple but elegant designs. Here you can find a variety of work wear staples like classic pleated dresses, shirtdresses, and vests that you can easily mix and match for everyday wear. You can also find summer dresses, A-line skirts, and basic sheath tops that are made to travel. Cosette reflects a modern simplicity in its sophisticated edgy style. Its timeless dresses exude effortless appeal while trendy culottes and slim peplum shirts display a refined yet youthful approach to fashion staples. 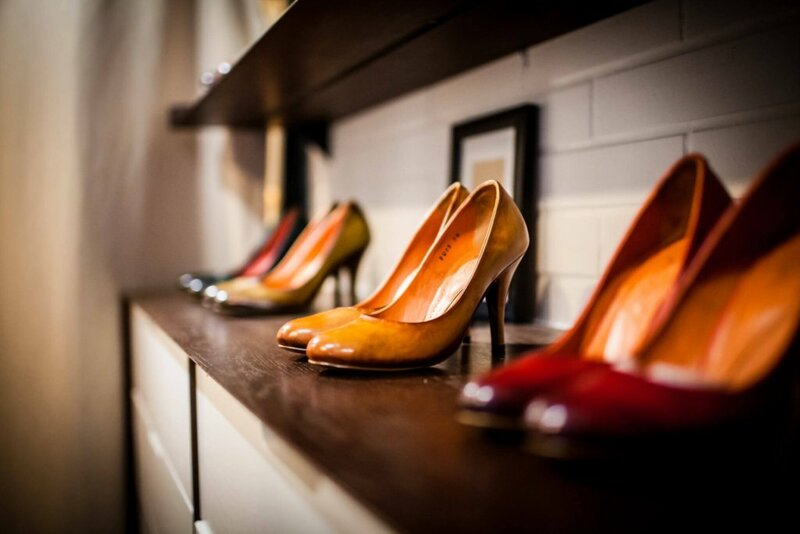 Complimenting their beautiful collection of clothing is a fabulous line of Italian-leather shoes. Just as important as the location of the boutique, the store’s interior design helps to accentuate the style and class of the designer. 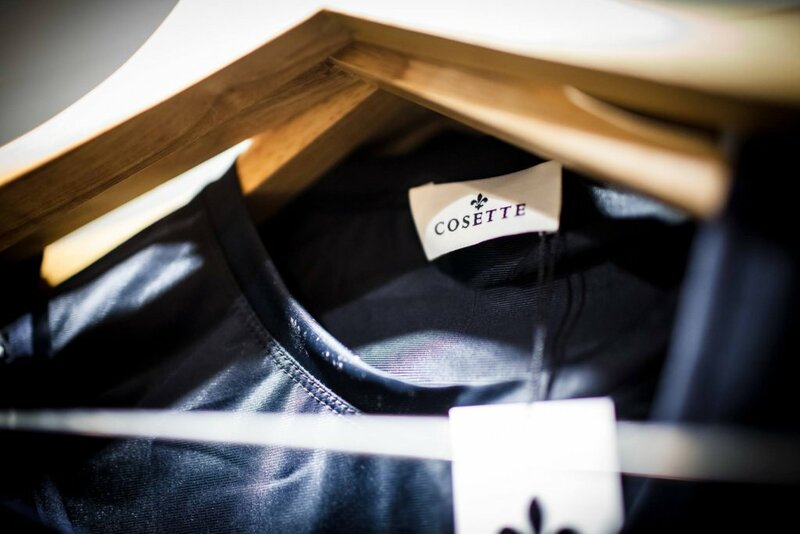 Cosette’s second store on Mac Thi Buoi is just in sync with the designer’s apparel style: simple and refined. The store’s interior design captures the true colonial style with black and white tiled floors, whitewashed walls, dark wood elements, light-filled space, and spaced out racks. 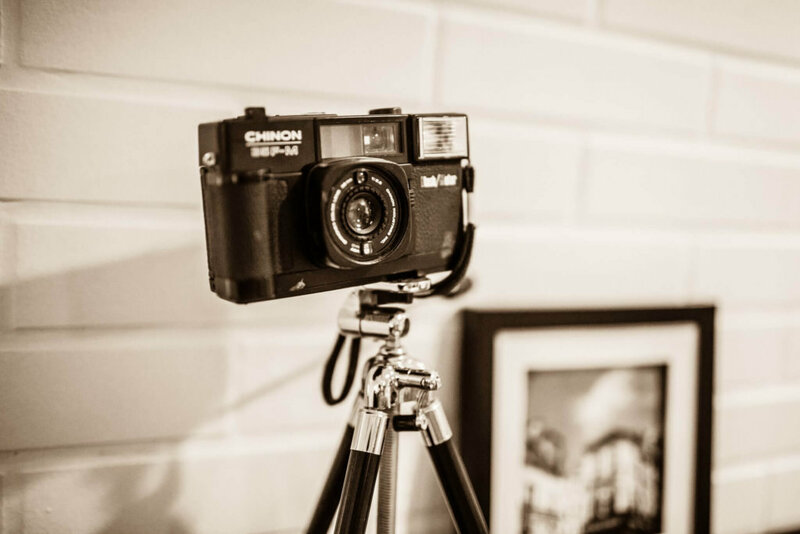 I love the owner’s personal touch here and there: vintage cameras, vintage sewing machines, and framed studio portraits. 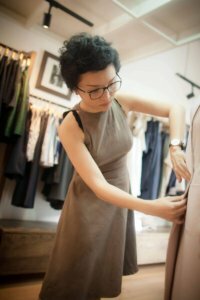 SaiGon’s fashion scene is small but exquisite with so many skilled tailors, seamstresses, craftsmen, and designers. However, tourists and visitors are often confused when it comes to pricing. Local designers can be very cheap to ultra expensive, and unfortunately quality justifying the price is not always the case. 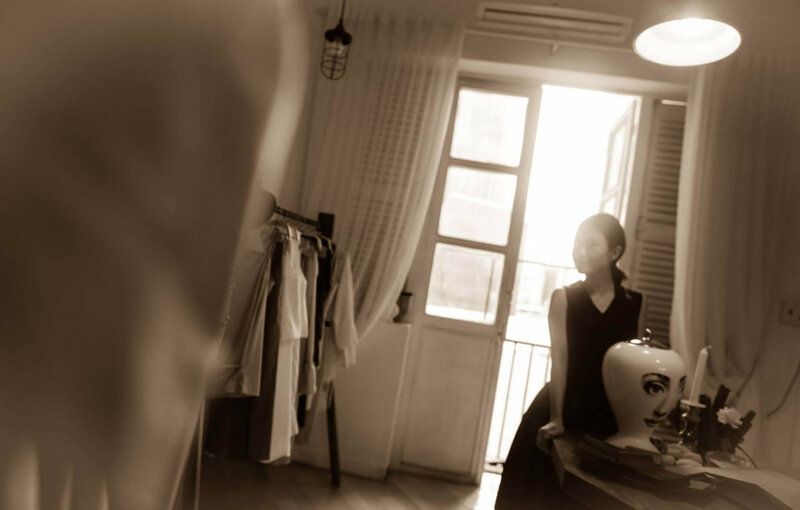 Although Saigon’s designers are creative and dedicated to quality, price range of $300-$500 for an A-Line dress or simple lace silk dress are often out of budget for most travelers and tourists. That’s why I recommend Cosette for my foreign friends who just want to have a glimpse of SaiGon’s fashion style without overspending. Price range at Cosette is not cheap ranging from $25 for a top to $130 for a vest, but I can say with confidence that what you pay is what you get. Precision tailoring, sharp structured cuts, and fine fabrics all justify Cosette’s price range. One thing that I don’t like about many local boutiques is that there is too much “hovering” of the staff by my side. I like to shop, look around, and pick up items in silence and decide to try them on in my own time; but most staff is trained to surround customers frequently to help and offer advice (that I don’t need). I’m not used to that kind of service and feel extremely uncomfortable and even feel pressured into buying things that I don’t like. 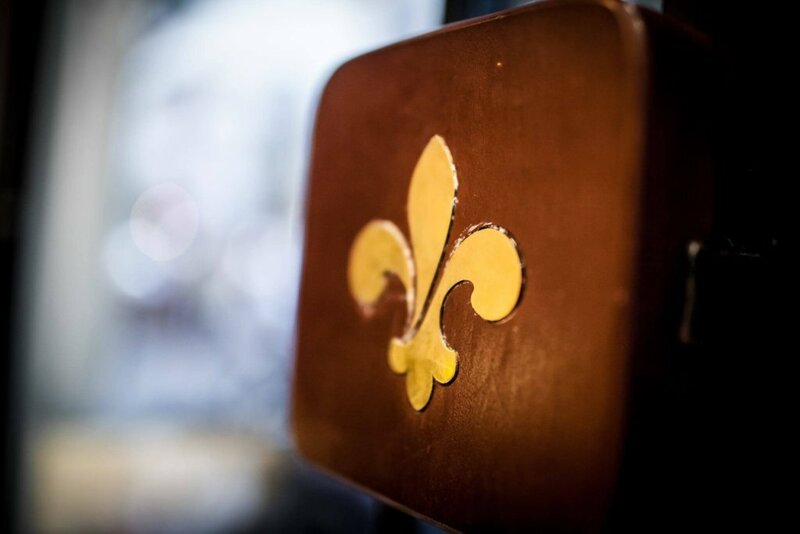 At Cosette, I feel relaxed and not rushed. There is no ‘hovering” or “pressuring”! Tourists and visitors, I think, would like to have personal space to do their shopping too! That’s why I think my foreign friends would like Cosette. 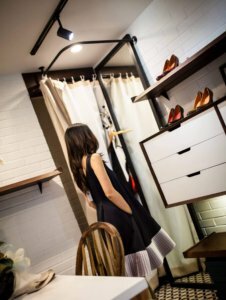 Above are 5 things that I like about Cosette, or just my basic guideline to pick out an ideal local designer to recommend to my foreign friends. I have been to some famous designers that are the centers of many high-end fashion talk in SG, but the quality and the brand itself do not justify the price tag. Some boutiques have fine-quality clothing with a relevant price range but located far away from the center of District 1 and missing out the chic and trendy elements of a designer boutique. 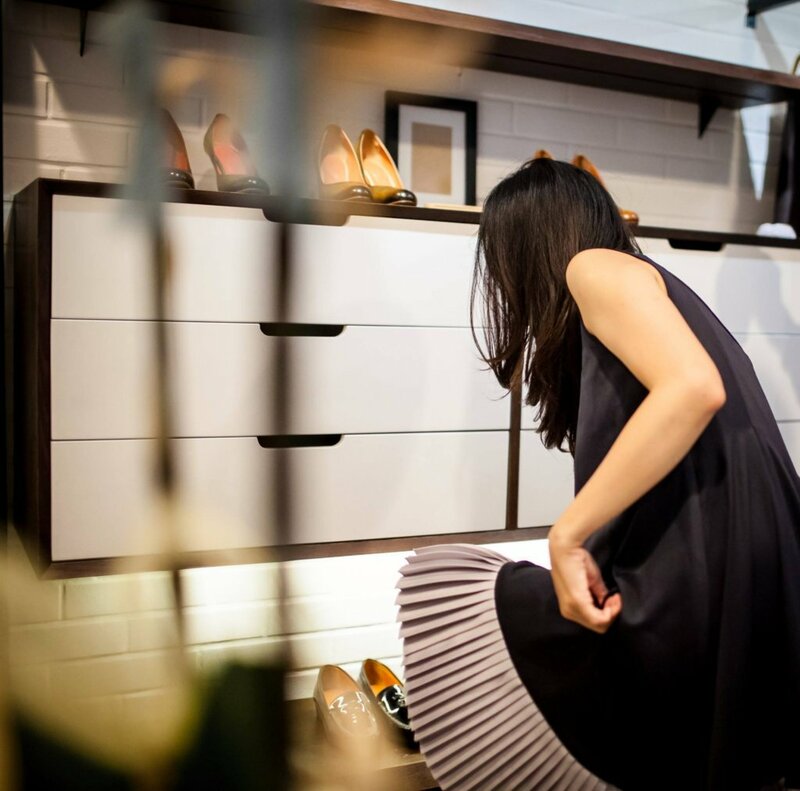 If Fifth Ave is where the best of the best located, then Dong Khoi and Nguyen Hue are prestigious streets where many local designers make their debut. However, some boutiques have succeeded in securing excellent locations but then neglecting to train their staff properly. So when my foreign friends ask me, “Which local designer would you recommend?”, I can only recall one name “Cosette”, because only Cosette has all of the above mentioned elements in perfect balance! 7 Reasons Why The Rainbow Island of Burano Will Make You Smile!!! !